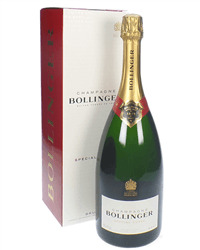 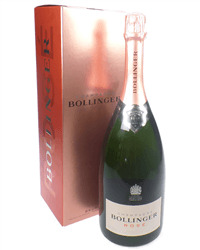 Bollinger's vineyards have Premier and Grand Cru status resulting in a full-bodied Champagne of great class. 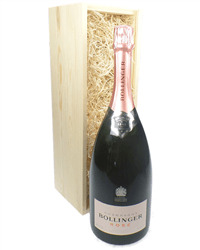 Whether you prefer Special Cuvee, Rose or Grande Annee Vintage, our Magnum of Bollinger Champagne gift is perfect for every celebration. 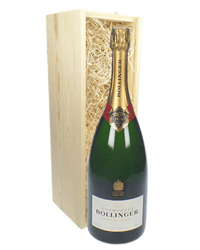 Order online or by phone and we will deliver your chosen magnum, beautifully packaged with your personal gift message.